ETH Entrepreneur Club is a Founding Partner of cofoundme. business potential of ETH research. KickFoundation and its initiatives are major network partners of cofoundme in Switzerland. KickFoundation is a strong consortium of private and public partners that aims to strengthen Switzerland as a location for innovation and business. Gebert Rüf Stiftung is a major funding partner of cofoundme. We thank Gebert Rüf for their contribution to cofoundme. Mio. Projekte an Schweizer Hochschulen. eZürich is a major network partner for cofoundme in Switzerland and is supporting us via the Office for Economy and Labour. We thank the Canton of Zurich for its contribution to cofoundme. eZürich is the platform for creative heads, ideas and projects aimed at promoting Zurich as an ICT and business location. YoStartups is a major acceleration partner of cofoundme. YoStartups is here to reduce the 90% failure rate of start-ups by providing them early-stage branding and access to the best minds globally to build and scale their start-up venture. Jobzippers is cofoundme’s job platform partner at international universities. Find your dreamjob on Jobzippers – the job platform for student campus recruiting powered by HR Matching. 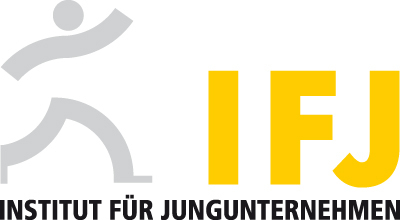 Institut für Jungunternehmen (IFJ) is a major acceleration partner of cofoundme in Switzerland. Since 1989, IFJ has supported more than 100’000 entrepreneurs. A unique wealth of experience has been accumulated, which they now share with the next generation of start-up founders. Sollberger KMU Treuhand is a major acceleration partner of cofoundme in Switzerland. Dank ihrem Netzwerk von Geschäftspartnern können Sollberger Dich sowohl in rechtlichen als auch in versicherungstechnischen Fragen beraten. Optimale Unterstützung bietet Sollberger auch jederzeit durch seine Mandatsleiter mit ihrer langjährigen Erfahrung im Bereich internationaler Beziehungen sowie Übersetzungen und IT. World Web Forum is a major network partner of cofoundme in Switzerland. The World Web Forum encourages an open and neutral discourse regarding the on-going transformation of the web, promoting the creation of a better future for our society. The Code Venture is a major technology partner of cofoundme in Europe. The Code Venture specializes in helping outstanding entrepreneurs getting their ideas off the ground by providing technological support to their early-stage startups. Impact Hub Zürich is a major acceleration partner of cofoundme in Switzerland. Impact Hub Zürich offers a variety of programs and services for entrepreneurs, corporates and career shifters who seek to prototype the future of business. Every year the Salon STIL event located in the French part of Switzerland, enables visitors to discover in an interesting and playful way innovation, technology and entrepreneurship.